It's a pretty solid collection of tracks from Van Morrison, with 'Moondance', 'Brown Eyed Girl', 'Dweller On The Threshold' and 'Jackie Wilson Said' the standouts. 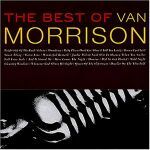 A good album by Van Morrison. I'm probably going to rate it about a 4. <br>Klasse Album! War #4 in UK und über 87 Wochen in den Charts. Muss man kennen und muss man mögen.